Having all the ingredients leftover from the holidays, I thought I'd put my trusty dutch oven to good use and whip up a batch of these Cast Iron Roasted Potatoes. The original recipe calls for making them in your cast iron skillet in a 350 degree oven, but I decided to pile on the coals and roast them outside in a searing hot oven. In my 10 inch dutch oven, they roasted for 45 minutes with 12 briquettes in a ring around the base of the oven and the lid piled with roughly 22 coals. Roasting them in a blazing hot oven will allow the crispy crust to form on the potatoes. Stir them only once, you need to allow the bottom heat to work it's magic. Serve them for breakfast, lunch or dinner with red, white or blue potatoes, every spud lover should have this classic in their recipe file. 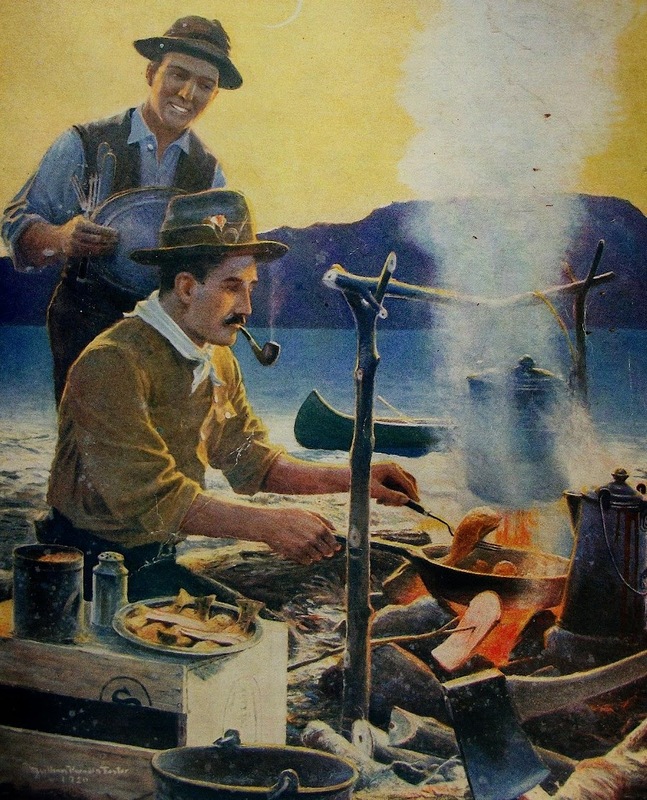 From The Lodge Cast Iron Cookbook, A Treasure of Timeless, Delicious Recipes. Add potatoes and onion, drizzle with olive oil. Add the rosemary, salt and pepper to taste; stir until well combined. Roast at 400 degrees, stirring halfway, until the potatoes are browned and tender when tested with a knife, about 45 minutes. These sound so yummy, and the recipe is so simple! Thanks, I can't wait to try them!